Are you ready to SLAY 2019? Well let's take it one quarter at a time! 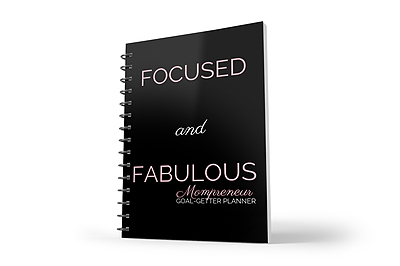 The Mompreneur's Quarterly Goal-Getter Planner is just what you need to slay your year! This planner was created, specifically, for the busy Mompreneur that needs the perfect tool to help them stay organized and on top of their goals one quarter at a time! *New planners released for each quarter! THIS IS A PHYSICAL PRODUCT THAT WIL BE SHIPPED TO YOU! PLEASE CHECK YOUR EMAIL TO SEND SHIPPING INFORMATION!